The Combat Dagger from Treeman Knives, like its Combat line brothers, is built from strong 1/4" thick O1 steel. 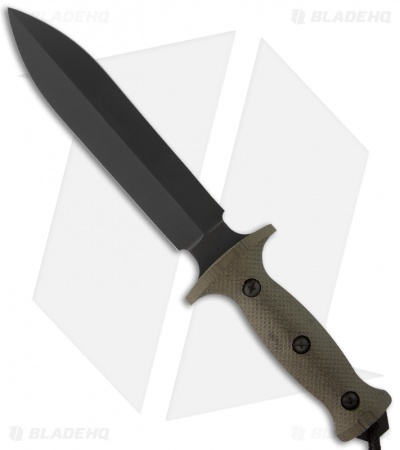 The double-edge dagger blade is black Cerakote finished and hollow ground. 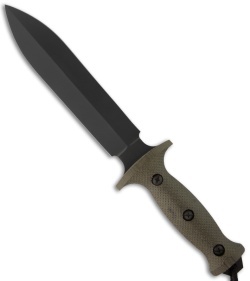 The handle is green canvas Micarta with a pry bar tang and lanyard hole. 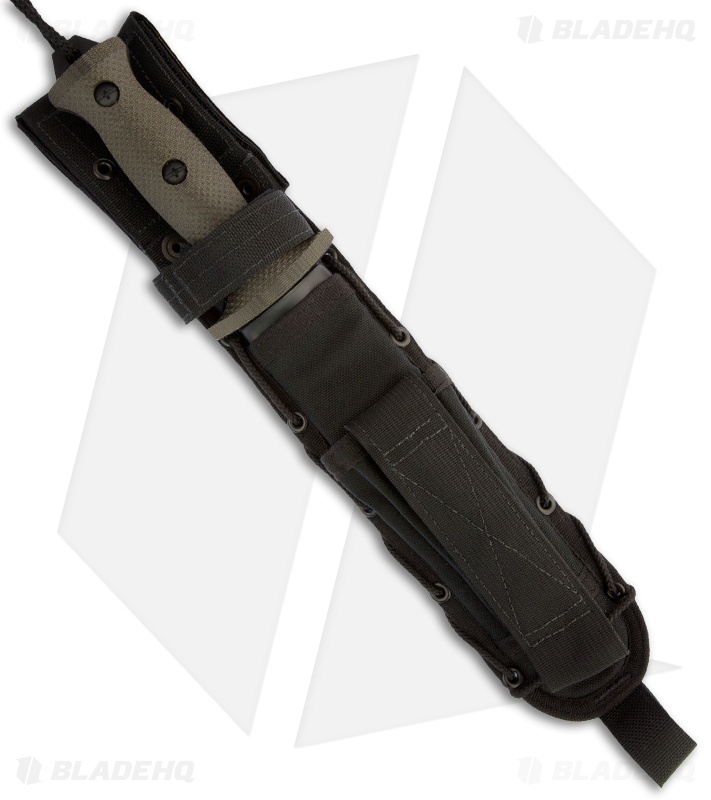 The Combat Dagger comes with a heavy duty nylon sheath with blade insert and external pocket.